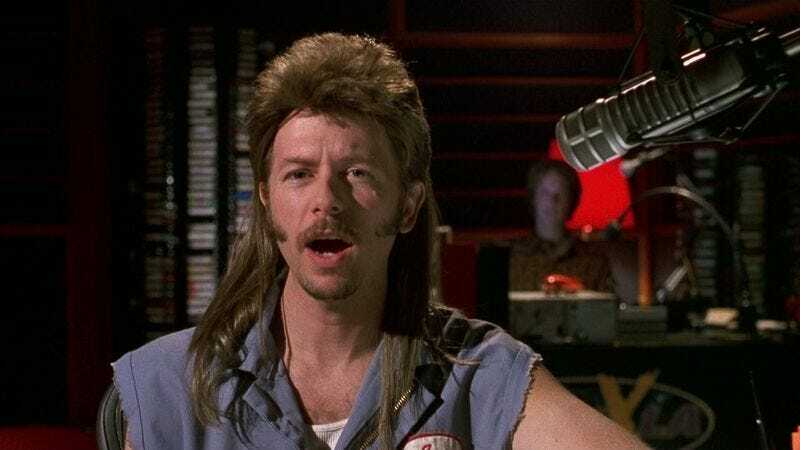 Emboldened by the egalitarian opportunity of Internet distribution and its promise of an exciting new future for entertainment, the Sony-backed streaming network Crackle has revealed its next step into the wild digital yonder by developing Joe Dirt 2, a sequel to David Spade’s 2001 comedy about wigs. Crackle made the announcement at this year’s “NewFronts,” an upfront-style presentation dedicated to exploring “new frontiers” in digital distribution. And what better way to, as Crackle put it, “break new ground” there than with “the first made for digital movie that is a sequel to a hit motion picture”—specifically, a sequel to Joe Dirt, a movie in which David Spade had a mullet and fought with Kid Rock. The pioneers at Crackle will delve even deeper into that story by picking up “where the last one left off,” thus reminding us of how far we’ve come by returning us all to an era when distributing movies through the Internet was but a crazy dream known as “someday.” Well, that day is today. That dream is Joe Dirt 2.